This version adds information on the members of the winning team and corrects a misidentification of one of them as a University of Toronto medical student. 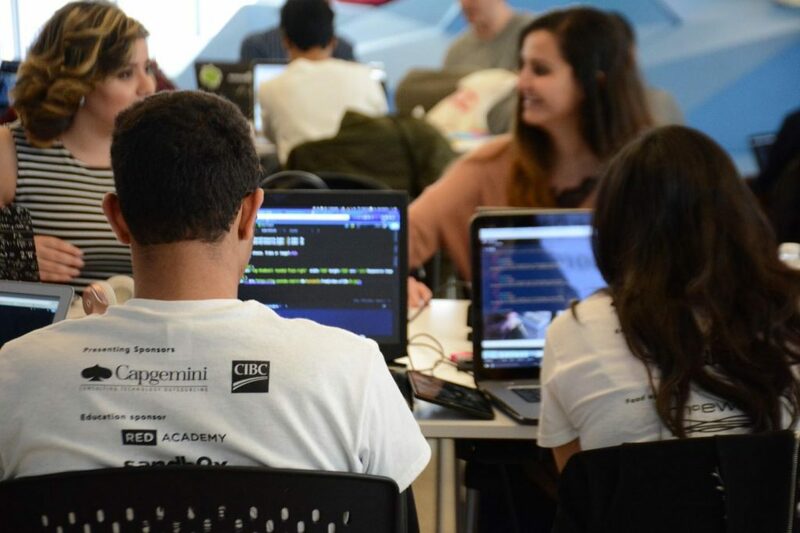 The word “hacking” usually has a negative connotation, but Ryerson’s hackathon event, hosted this weekend, showed the bright side to tech savviness. The Social Good Hackathon brought together students, mentors and community members to develop business solutions for local charities. 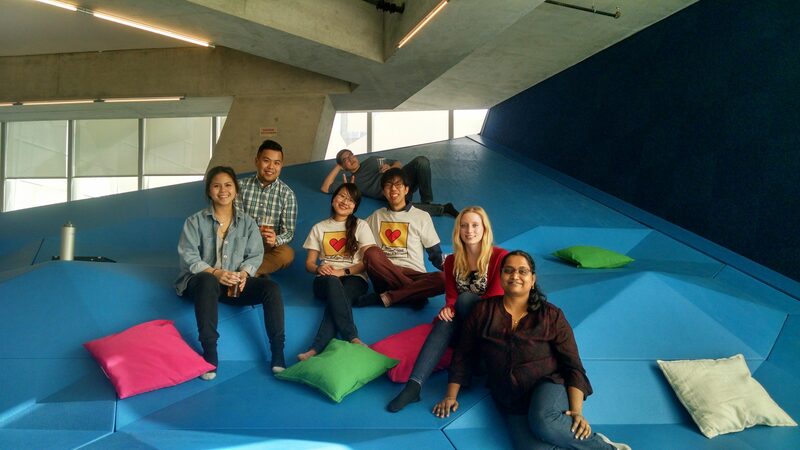 “It was far from a typical hackathon … It was casual and fun, there was tons of food,” said participant Mitul Shah, a third-year Ryerson co-op business technology management student. From early Friday to late Saturday, teams of students and mentors competed on the third floor of the Student Learning Centre (SLC) to solve real problems. Those problems were ones faced by three Toronto charities: hEr VOLUTION, Pledges for Change and Eva’s Initiatives for Homeless Youth. Teams were composed of young or new coders and experienced mentors. This allowed students to network and show what they can do, all for a good cause. “Being able to receive mentorship from industry professionals while building your solution is highly beneficial, not only for the purpose of the hackathon but … creating a relationship that will last beyond it,” said Shah. 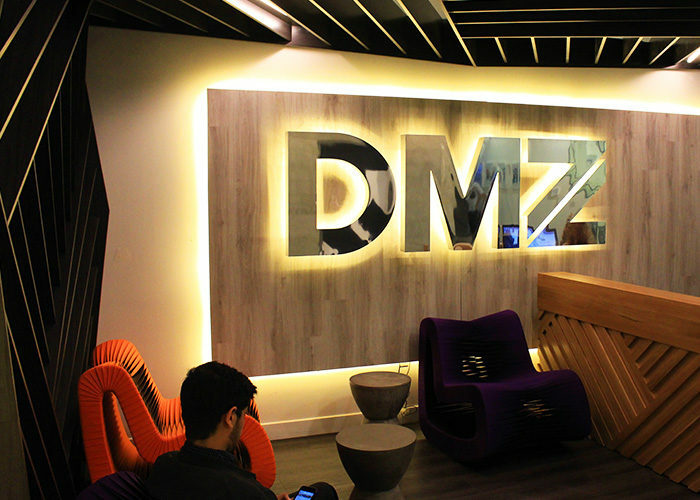 Sandbox, the community arm of the Digital Media Zone (DMZ), helped organize and host the event. “It really was a community event, not just for students,” said David Kwok, programs and community co-ordinator for Sandbox. About 60 students turned out from 18 different schools, including University of Waterloo, University of Toronto and Ryerson. Some of the challenges included finding a solution to glitchy or troublesome websites, as well as pitching digital marketing campaigns to increase donations. Shah was part of Team Evolve, which worked on a platform for hEr VOLUTION that would further engage young girls to follow a career path in the fields of science, technology, engineering and mathematics (STEM). 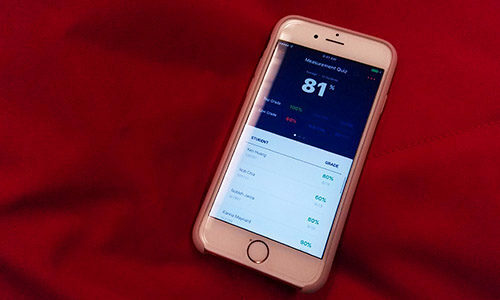 “We accomplished this by gamify-ing an online survey that introduced girls to career paths based off their interests, as well as connecting them with a female mentor that is already in the relative field,” said Shah. The winner of the hackathon, ChillSquad, was made up of a Ryerson computer science student, a University of Toronto graduate and computer engineer at Intel, a dietician, an astrophysics doctorate, an environmental engineer at General Motors, a web developer and a digital marketing strategist. They created a solution for Eva’s Initiatives for Homeless Youth. “They made it more transparent for donors and now they’ll know what their donation will be used for,” said Kwok.